I have cleaned up the already cleaned Leaked map. ​New Bordeaux is about 3/4 times the size of Blackwater. The "cleaned up" map is useless. It definitely can and should be improved. It's full of errors and I hate when I'm trying to find something on the real leaked map but all I can find is the incorrect and harder to read "cleaned" version. Yeah I tried to pick the good names, but just as the original cleaner, the purple names are unreadable. It is more the roads which can now be easily seen. You've very good arguments against the map, Chinese Takeout, but I don't think that this is a good one. I don't expect to see stores or bars marked by their names on the map and it will probably follow the tradition of Redemption's map which only had naming convention like Doctor's Office, General Store (Worth's General Store is one), Gunsmith store and so on, all of which had icons on the map to pinpoint their locations similar to the tradition that GTA started. Even so and this time stores will be called by their names on the map, and assuming it's real, then the art might be from an earlier version that's still being updated, modified and added to. Noob question: Why is the old rdr map on the cleaned up map?Just for size comparison or will it be in the game? Size comparison, but it is likely to be added in Red Dead Online though. ​But as I myself have no idea if it will be; for now: Only size comparison. Solid argument. I like it. 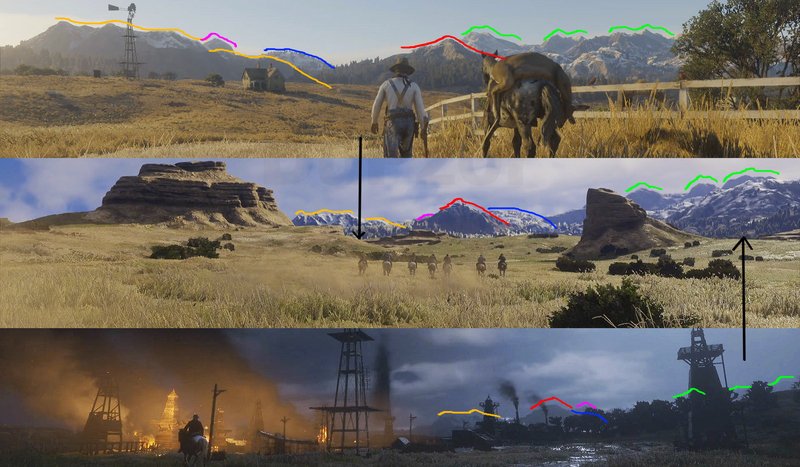 My rebuttal is that while it is likely that it is a completely new story, the perceived time setting from the trailer puts its roughly right before RDR 1. Secondly while yes no parts of West Elizabeth are present in the trailer, I doubt Rockstar has showed even 40% of the final map here, GTA V's first trailer showed only LS and a shot of the Vineyard and Chilliad. Well I would be baffled if Rockstar reused it because its the opposite of their M.O., I would argue that it wouldn't be the first time they surprised us by doing something completely against prediction. As to why did they leave West Elizabeth the junior version of the plains? I cannot tell you, I do not know the story of the game. But if it is a prequel, which seems odd given the name RDR 2, it would make sense, which again its called RDR 2. The inclusion of the Bill Williamson like character is odd. As is the two individuals looking like a young and old John Marston. The fact it is called RDR 2 is against the idea that this is another game in the Red Dead Series, but instead a direct link to Red Dead Redemption. Instead of the anthology of GTA this is a direct link to Red Dead Redemption. Think of it like LCS to GTA 3 instead of it as GTA IV to GTA 3. And like I have already said Rockstar maps are unique. You can tell when something is off with them. I believe the problem is everyone is looking at this map like it will appear in the game. 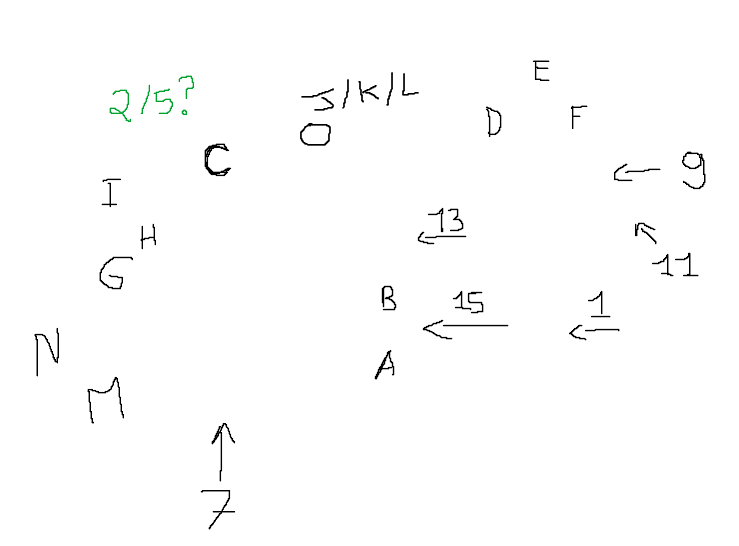 Which I believe it is nothing more than some internal map for some programmer to use for something. It gives a very basic outline of a map that is yet to be properly drawn up. The game comes out next year. Details are subject to change. The ingame map model itself is usually unchanging, but the menu map and such are usually left towards the end when all names and such are finalized. If it is Occums razor, the simplest explanation is that it is a leaked map. I mean no leaked map for GTA V, IV or any other game has ever looked so... unfinished. I have never believed a single leaked map relating to a Rockstar game due to the fact that Rockstar leaks have never happened. But I have also never seen many news sites relay this leaked information and say it is real. No I am not saying I believe the undeniable genius of an IGN intern, but many odd things have set this apart. Many fake maps only come out after a trailer usually as to correlate to what was seen and confirmed. We know Pre GTA V ones were fake because it did not feature Los Santos, however who would have thunk Rockstar would only focus on the middle to eastern southern US? The exclusion of Mexico in both trailer and map point to this. While I stated before not much of the map was seen, I argue most of the biomes were shown. For example again, in GTA IV's teaser they highlighted all parts of LC to show off the power of that console generation. Similar to here Rockstar shows off many different areas to highlight this generations power. No one on this site has ever fallen for a fake map to this extant. I've seen people here long before me believe in it. And I'm usually the skeptical one (f*cking analheim). Is it real? Fake? I believe it is real, so do many others. You believe it is fake, so do many others. The lack of any good info on this game means its hard right now to determine if its authentic. I'd say before we continue this debate and end up bringing up all that has been said we must wait till the next trailer. If it is a prequel or not will alone determine if an exRockstar employee turns up dead for a leak, or if its the greatest fake I've ever seen. I feel like that's a reasonable expectation to have of a GTA-like R* game. And the only thing that throws a wrench into it, really, is the leaked map. Without it, I'm not sure we would be having these John Marston questions. And the questions affect our interpretations the map...and our interpretations of the map affect our questions. Haha, the mind boggles. However, in the interest of progress, let us speak of it no more. For my part, even though I cling to my instinct that the map is fake like Gollum to his Precious, I am going to pretend that it is legit until and if it is ever debunked. I agree that that is the best way forward. Okay, I think I know where we got disconnected, and it was probably my fault. I didn't really follow that whole Beez/the railroad doesn't connect thing, because I knew he was wrong about that, and he admitted it too. When I saw the comment that I responded to, I thought the guy was referring to the trailer: "Hey, there was a train in the trailer, and guess what? there's one in the leaked map, too. 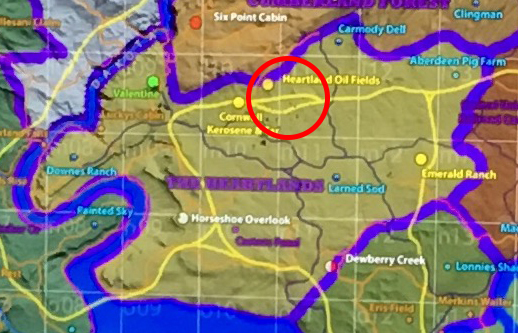 thus, the leaked map is legitimatized," to which I thought, "just because an (alleged) map faker places a railroad on his map of RED DEAD REDEMPTION 2, that doesn't prove he's legit, any more than if he added a horse stable." But, it looks like I clearly misinterpreted what he was saying...he was just replying to Beez. My bad there. I don't really get your problem with my "Worth's General Store" comment, though. Does it not stand to reason that if when the leak hit (back in May, or something? ), if it had included on the map "Worth's General Store," that would have HANDS DOWN, 100% proven that whoever made this map was LEGIT (because it's the only thing uniquely NAMED found in the Rockstar-released official trailer. However, we do NOT see that. There is nothing on the map and in the trailer that can be CONCLUSIVELY tied together (in the same way as the "Worth's" example). Doesn't that make sense? As far as your suggestion that we use statements like, "I personally think...," in every writing and public speaking class I've ever taken, it was drilled into my head that it is patently incorrect to use phrases like "I think," or "I feel," because it is understood by the reader/audience that everything you are saying or writing is, in fact, your opinion. It is a waste of time and space to include these words in every sentence or paragraph or whenever you introduce a new thought or idea. I was taught that this was a universal rule of formal communication. However, as it is a sensitive subject for you (and maybe others), I will try to pepper the use of this kind of phrase within my future responses. If my response to you seemed curt is was because it seemed to me that every time I read one of your responses you were berating someone, or -as you say- being a "know it all." They say that the trait you most despise in others is a trait that you yourself possess, so perhaps I need to look more closely in the mirror, as it were. I apologize if I offended you. It's all good. I think you and I are very much cut from the same cloth and there's definitely some truth to that statement about despising your own traits in others! Anyway I have no hard feelings and you seem to be approaching this with an open mind, so by all means let's proceed with the debate. As a footnote - and feel free to not reply to this if you like, because this is really getting off topic and into the weeds simultaneously - I am actually with you on the notion that normally there is no reason to announce your opinions as such. For instance if I were to say "The Rolling Stones are the best rock band ever," it should be understood that that is my opinion; there can be no objective claim about the best practitioner of any art form, because art is subjective and not measured in mathematical or scientific units. There is a certain shared subjectivity (larger groups of people tend to agree more than disagree about what makes for quality art), but that should not be confused with objectivity, or assumed that it can be used to find a single "correct" answer; there will always be disagreement and that is just fine. So I kind of detest when internet arguments get sidetracked with long debates about objective vs. subjective. Most of the time you should just sidestep that sh*t and assume the other person's opinion is an opinion, even if they don't seem to realize it. That said... if I were to instead say, "The Rolling Stones are the best rock band ever and that is an objective fact," then I think there's some value in trying to talk me off the ledge, because clearly I am either trolling, or just being antagonistic, or not as smart as I think I am. So while I'm good with assuming most statements of judgment are mere opinions, it does raise my hackles when I keep seeing posts like the ones I quoted before. The map we're all talking about can be referenced without having to designate it, repeatedly and in all caps, as the FAKE MAP. Speaking of which, let's get back to chewing that to pieces! Back on topic: here is some rampant speculation from me. I have no proof for any of this, just intuition and educated guesses. 1. I do believe the game is a prequel in some form. The rumors were interesting but not convincing, to me. But the teaser poster... man, if that's not Dutch's gang I would be shocked. Guy on the far left is a dead ringer for Marston. Guy to the right of center is a dead ringer for Williamson. There's also a Dutch look-alike, though he's dressed rather differently from the Dutch we met. Those three alone are enough to convince me. It's not dead certain but I think it's probable, to the point that I'm just assuming it's true going forward. 2. The map is neither proven real nor proven fake, at this point. 1. The teaser image has a guy who doesn't resemble anyone we already know front and center. The guy who gets the focus in the trailer is dressed enough like that guy that it COULD be the same person. Unless they are going the multiple-protagonist route again, like GTA V, I think this fella is our new main character. 3. Probably the story won't be focused solely on him. His drama with the gang may just be a sub-plot. Albeit possibly an important one. 4. IF the map in question is real, why recycle part of the old map? I think a lot of speculation has been that we would start out in a familiar area and move on to the rest of the map. I wonder if it might be just the opposite. Narratively, it would make sense for the story to END in an area we already know: the area where Marston lives with Abigail after they leave the gang and get married. Maybe we'll never set foot in Beecher's Hope until John is living there. Maybe that somehow puts a period at the end of two sentences at once: our new main character, and John Marston (or the first chapter in his story anyway). More thoughts on geography later; this post is all really about narrative. From a narrative standpoint alone, I think there's a likely way to tell the story that makes perfect sense for this map to be real. I think there will be a desert in this game, people on here acting like the whole map was shown in the first trailer. The leaked map can either help or hinder this project, since it can't be proven real or fake from what we have, so it might be better if we just draw an oval shape and start pinning the similar or matched locations and then eventually it might start pulling together. We'll have to wait until there are more images or trailers obviously since it's mainly mountains so far. This hilly area where the big rock and possible camp definitely seem like the central area, the first 2 images are connected since someone found the rock in the first pic and you can see the camp in the final shot with the horses. Is the 3rd pic any connection? The RDR map was loved by almost everyone who played the game, it makes sense to recycle it (or a part of it) an add new parts to create a new, bigger map. That's leaving alone narrative, because in a narrative point of view, makes all the sense to include West Elizabeth if we are going to have a prequel, as you said. This one is hard to tell, a lot f the peaks look similar, and the different lighting makes it hard too. But if you visualise what it could look like from either angle, those features line up. "We die alone, but we live among men." For me so far this seems like the only match out of which we can pretty much sure start with something. Let me update that, 1 sec. The black arrows are where i think those places are in that wide vista. Isn't the camera facing either East or West due to the low position of the sun? Or are we disregarding sun position because "R* puts the sun where they want to in order to make trailers more purty"? For start we can asume that they've made it accurate, considering the love of Rockstar when it comes to detail. That means we are facing East or West. Not exactly sure when it comes to my knowledge in American geography, but if like said this is the 'American Heartland', then thise mountains could be the Rockies. Spanning from north to south, that would fit the east west position of the sun in this case. Or am i wrong? Great analysis and arguments so far. The more you link the scenes in the trailer together via mountains and landmarks the more it seems that R* has shown us very little in terms of locations. That's a good thing IMHO. It means there's more to wow us later in future trailers/screenshots and to discover when we get our hands on the final game. I am still not convinced the map is real but I have an open mind and am trying to make sense of it. Chinese Takeout has made some strong arguments that line up with my thinking but so have others like Nutduster that contradict some of my thoughts. At this point there is not enough evidence to convince me that it's a prequel or that it shares characters with RDR1. Sure the artwork has characters that look similar but there are only so many types of cowboy clothes. I also have problems with the leaked map. 1. 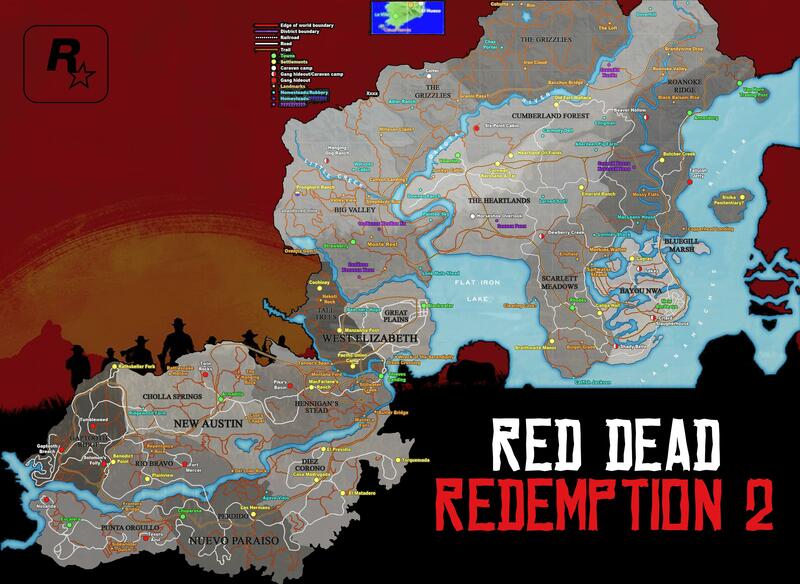 If the map is real and includes all of the RDR1 map that is new ground for R* reusing a previous game's map. 2. If the map is real and only includes West Elizabeth plus the new part then still nee ground for R* and there is no desert, no Monument Valley and no Mexico. Serious omissions for any western game. 3. If there are no parts of the RDR1 map, still no desert, no Monument Valley and no Mexico. I just can't believe R* wouldn't have that type of geography in a game set in the wild west. If RDR2 is an extension of the RDR1 storyline and they are reusing the old map then R* is breaking from their own traditions. I remain skeptical but open minded. No, you're correct. If we're assuming the sun is in the correct position (and I agree, why not start from that assumption), then any visible mountains would be the Rockies, and we would be facing West at sunset. the other major mountain range in the US is the Appalachian mountains on the East coast, but it is a very different looking mountain range, and the map would have to be "YUGE" to have them included. it wouldn't surprise me if, given that Rockstar is apparently making a franchise out of RDR, that they are saving the Southwest (Mexico, West Texas ,New Mexico, Arizona, Nevada, California) for the next game RDR3. That means no deserts for RDR2, which is consistent with the little we've seen in the trailer thus far along with the "heartland" description. Assuming the leaked map is legit, for the sake of this argument, it kinda makes sense that they want to connect the first map with the new map, but are omitting everything other than West Elizabeth so they can recreate the Southwest for RDR3 and make it much, much more expansive and detailed. In the background of the oil field scene you can see two tall chimneys. Those could be the ones from Cornwell Kerosine & Tar. The 7 people would therefore be riding a little bit south of Heartland Oil Fields from east to west. The more we pick landmarks from the scene, the more the leaked map is matching up. At this point i believe it's real. Yes ! I was looking at this double mountain and there's definitly something there... I'm not sure about the other though, as the view is rotated, I'm note sure everything matches. Personally I agree with almost every match but the light blue one, I think it would be hidden in the train scene. I've made a panorama of the rotating scene at the end, because I was tired of switching pictures and horses getting in the way. I tried to pick the cleanest version of each mountain, and I also made a notation with letters if needed (I'll need it ). The tress that Kirsty noticed would help with the orientation. Feel free to disagree with anything I've said I think this could fit on the "leaked" map, but I'm not trying too hard to make it match as we have no confirmation and I'd avoid to be biaised by it. Great find! Good evidence that supports that the leaked map is indeed real. I've known since it first leaked TBH. When there's a fake map, you can just know its fake. But with west Elizabeth being included, you can already tell off the bat that it was real because if some one wanted to fake a map and make it come across as believable, they would have never done that.